To break a record is not an easy feat. 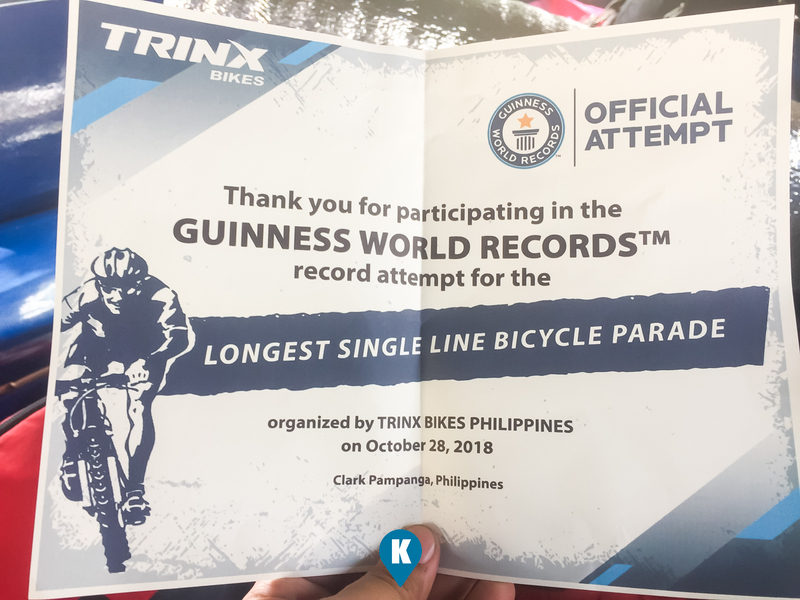 It takes a lot of effort and we undertook that effort to take part in the longest single line bicycle parade. Our story starts a month before the event. We had to practice and we have to get this thing right so that we get that record. The practice was in Clark, Pampanga. Roughly 140kms away from my house. Never thought I could do it and until now I am still thinking I can't. As they say, great achievement is not easy doing it alone. Glad to have found similar minded solo bikers who would want to bike from the south to Clark Pampanga. We met online at first and found out they want to participate in the practice run. We created a group chat and weeded out some peeps whom were not decided until we came up with a measly group of 13 bikers including myself. These 13 finally took the plunge and off we went to Clark. 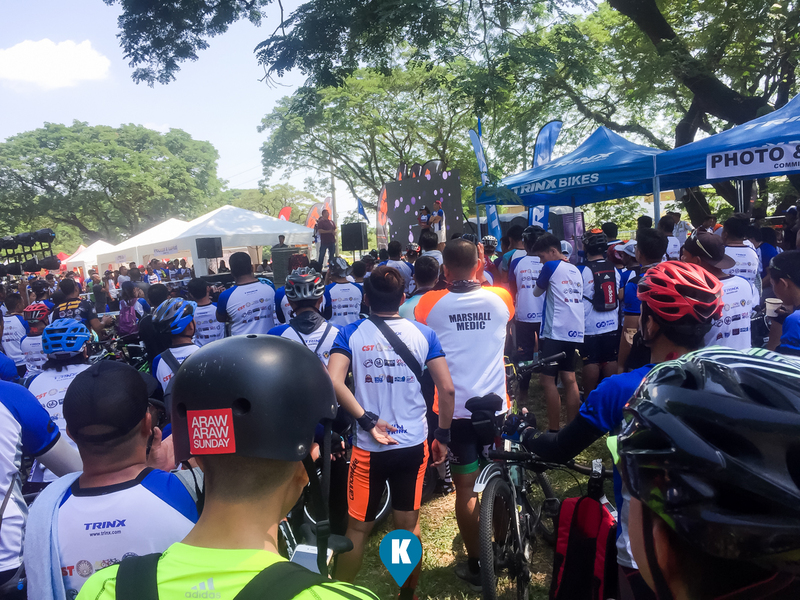 Our initial meet up point was in Alabang and rode out at around 4pm. 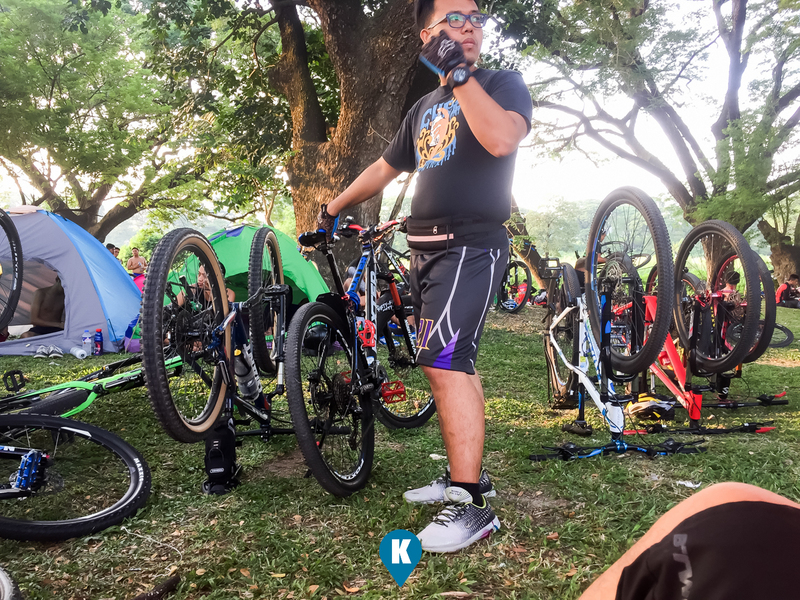 We reached Luneta our second meet up point at around 6pm. We took some photos at the zero kilometer marker. Didn't know it was located there so it was a treat to take some photos. 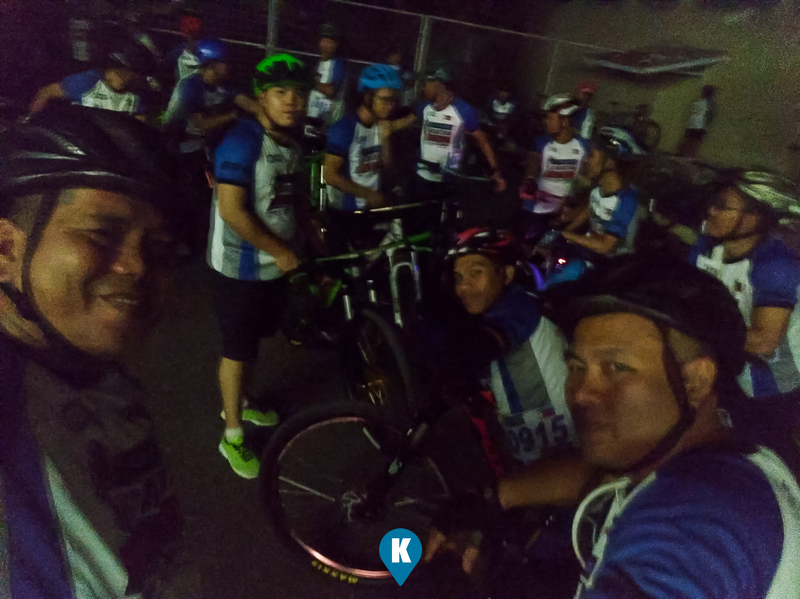 After a brief wait, off we went via Abad Santos till we reach Balintawak, then the official meet up of the practice ride at SM Marilao. It was already 9pm and we had to take our dinner there. 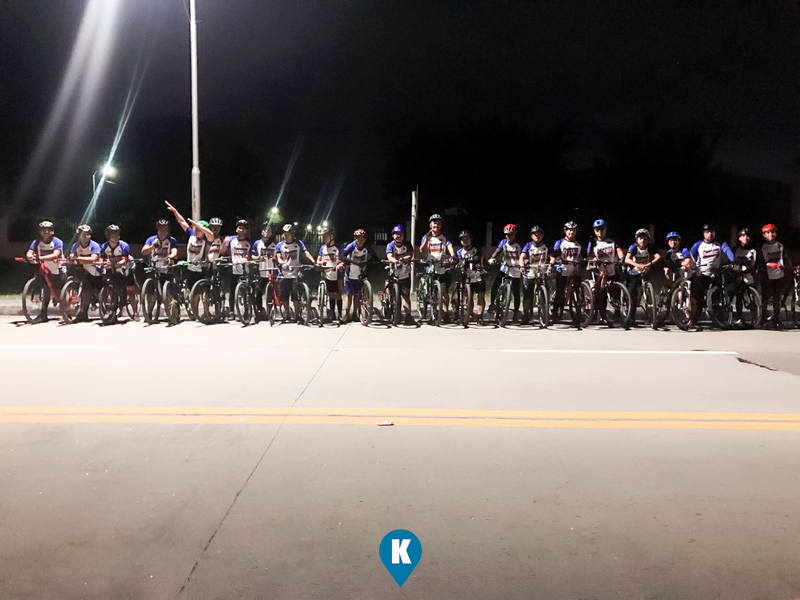 We did so as we waited for the main peloton from C-5 Tiendesitas. 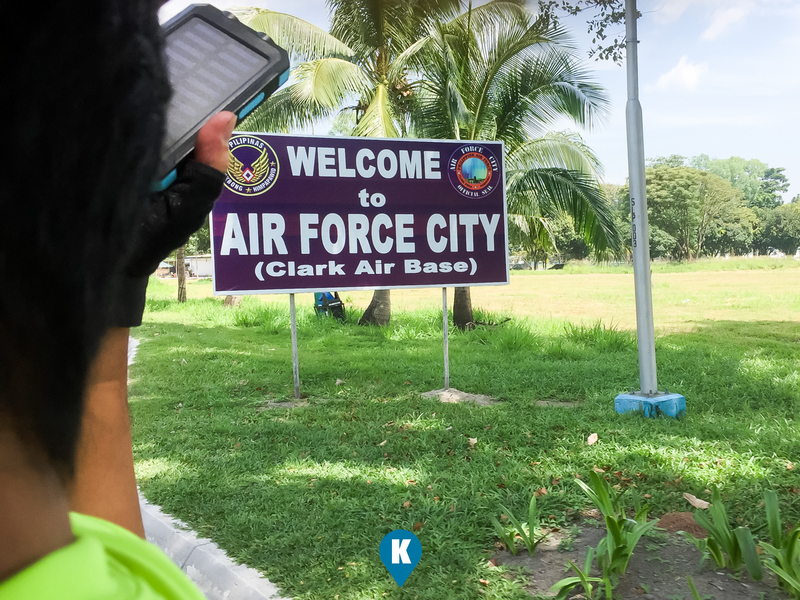 We hope to join the main pack here then off to Clark. When the main group came, then we rode out. Going with the main pack wasn't easy as one might think. Having a lot of bikers on side of the ride proved to be problem traffic wise. 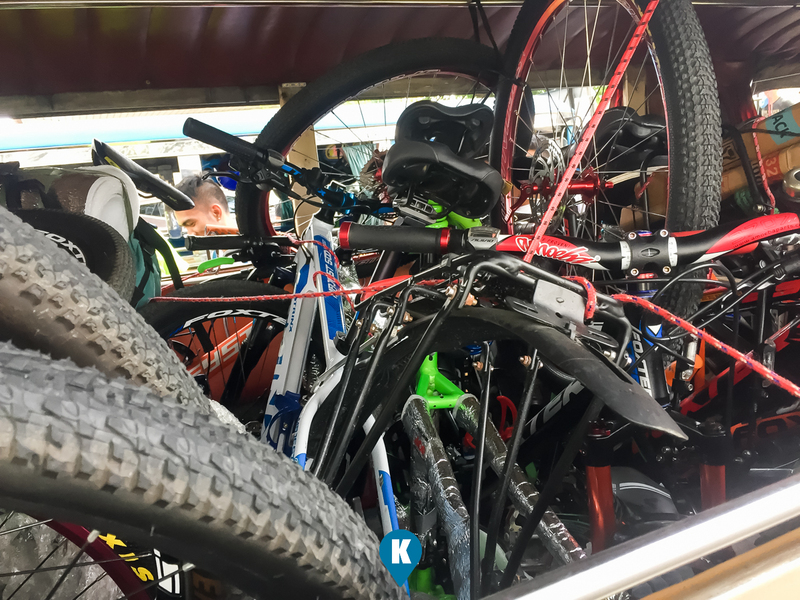 Another thing worth noting was the fact as how the main pack rode slowly to consider some bikers who are not prepared for a long ride. Not to be a burden for the marshalls, our group decided to go on ahead of the pack. We rode at a pace of 20-25kph until we took a break as one of us had a flat tire. Another break we took to have that tire repaired or "vulcanized". 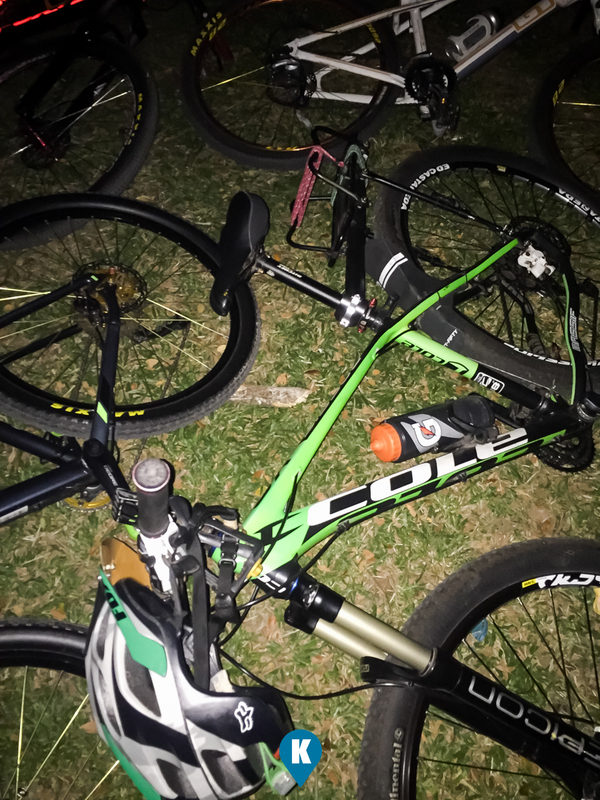 Another breakdown happened until we reached the practice venue in Clark around 3am. Boy were exhausted. Good thing it was a cool morning and resting after a 12 hour ride was what we needed. We never knew that the cemented sidewalk could be that soft as we laid on it using our helmets as our pillows. There were a lot of grass around but we couldn't find a spot. There were a number of bikers who arrived ahead and took their positions already. 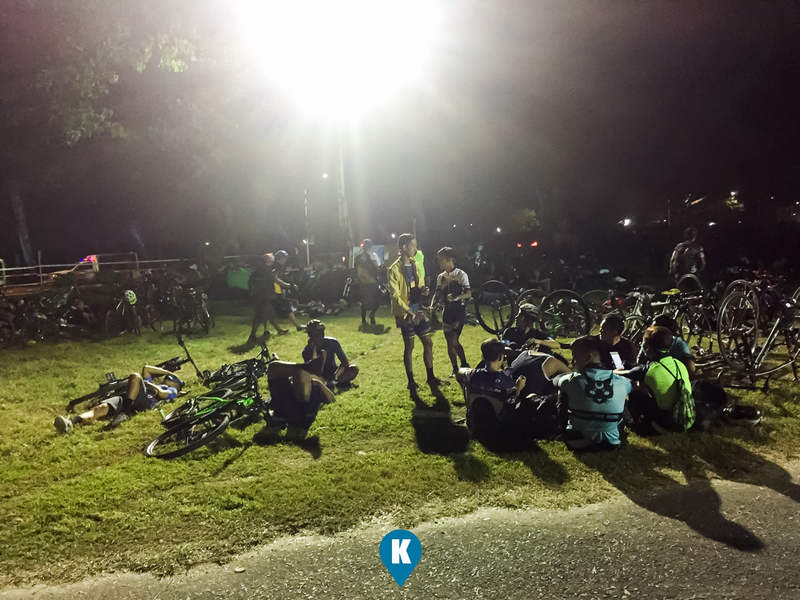 Nevertheless we rested nicely until the main peloton or pack came 3 hours later. Our practice run opened us to a lot of problems and offered a lot of solutions as well. Fast forward to the event itself, we learned to solve our practice problems. 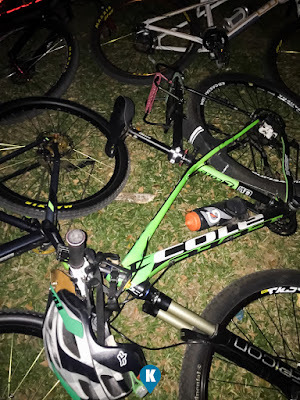 1) we were tired from the bike ride from Manila to Clark making it difficult for us to do the attempt 2) its difficult to find a bus home considering the number of bikers who decided to take a ride after the event 3) no water and food at the venue. 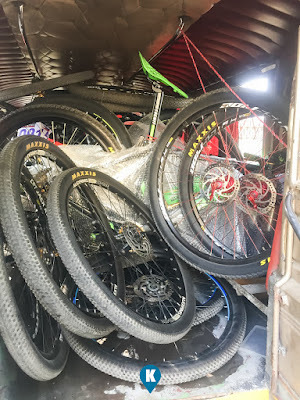 For the actual attempt at the record, we decided to 1) hire 2 jeeps to take riders and bikes to the venue solving problems 1 and 2. 2) brought water and some bits of food just in case 7-11 runs out of water and rice meals again. 3) we brought also some camping gear as we came in early at the venue to hopefully relax prior and be energized during the attempt. After all the preparations, we failed to break the record. There were a lot of complications on site and too many complaints to mention. I don't want this article to be a source of blaming someone, but I think the failure was everybody's fault. We all did the attempt and its just right we all failed at the same time. After said event, we do hope everyone learned their lesson from the failed attempt. There are talks about doing it again in 2019. Our group is steadfast in this endeavor and we would like to join in any organized attempts in the future. We do hope that this time, we can break that record with ease. 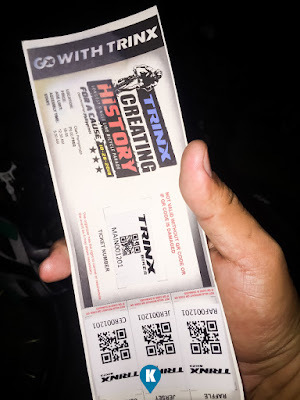 In behalf of our group, we would like to thank Trinx Philippines for sponsoring the event, thanks for the effort and jerseys distributed. We do hope that in the next attempt, you will still be there to lend a hand.